Mary Elizabeth Alfonso is proud to call New Orleans, Louisiana home. Beginning her training at a young age at Rhonda Edmundson School of Dance, she has studied at the New Orleans Center for Creative Arts, traveled to Greenwich, England to attend the Trinity Laban Conservatoire for Music and Dance, and spent an extensive amount of time participating in the world of the organization of Dance Masters of America. One of her favorite experiences is being a part of the National Arts Advocacy Day in Washington, D.C. Her passion for dance lead her to the University of Southern Mississippi in Hattiesburg, Mississippi where she received her B.F.A in Dance Education. At Southern Miss, Mary participated in the Repertory Dance Company where she worked and trained with choreographers such as Trebien Pollard, Stacy Reischman Fletcher, Kelly Ferris Lester, and Julie Hammond White. She performed at the American College Dance Festival in Bowling Green, OH and Tallahassee, FL. After graduation, Mary ventured to Mobile, Alabama where she was the established Dance Educator at Benton Cato Rain High School. During her time there, she created the Velocity Dance Company where her students were given various opportunities to perform around the community. Mary Elizabeth holds a Master of Arts from New York University; she also performed at the Fredrick Lowe Theatre at NYU as a part of the Masters Dance Concert. While in NYC, Mary had the opportunity to work for Joffrey Ballet School both in the studio and in the office under the esteemed Jo Matos, the Director of the Children's and Youth Programs. Mary Elizabeth is a proud member of the National Dance Education Organization (NDEO) and the Florida Dance Education Organization (FDEO). She held a Board Position on the New York State Dance Education Association. Her choreography has won numerous awards and under her direction, the New Light Dance Project has been established as one of the most high demand dance companies on the Emerald Coast. In addition, Alfonso also offers private instruction and choreography. While not in the studio, she enjoys traveling and spending time with her husband, Adam, and her adorable son Rhett Kristian and beautiful daughter Romie Elizabeth. work, “Set and Reset”. This past year she began expanding her artistic voice, choreographing solo, duet, and group works, as well as a trio, “Color Coating” adjudicated by legendary Chuck Davis. Knorr has performed at the SCDancing Festival, concerts at the American College Dance Festival, SCAHPERD, and Coker College. Giving back to her community, she began teaching her passion for dance at the Richland One High School Dance Festival and taught classes at Coker College, expressing her interest in contemporary and improvisation. Recently relocating to Florida, she continues expanding her artistic style and choreography through intricate movement vocabulary. Bailey Jenrich is originally from Destin, FL where she grew up training as a cheerleader and dancer. She studied several years of dance where she found her true passion as a dance artist in many different styles, but has always had a strong love for Hip-Hop. She is the first graduating senior from our Daytime Program. Her talents not only lie within the realms of dance but also her eye for photography. She began her own business, Bailey Lauren Photography, at the age of 16. She attended UCF where she was a part of the Knight Moves Dance Team. She completed her newest endeavor in Health and Fitness and is now a certified Health Coach. She recently has decided to return to back to college to finish her degree in Gainesville, FL. Her advocacy for nutrition and health can be found on her weekly Vlogs and there is not a day that goes by that she is not working out. Check them out on YOUTUBE. We are truly happy Bailey is a part of the Alfonso Academy Dance Family. Born and raised in Ypsilanti Michigan, Prisca Jentzen began her dance training at Randazzo Dance. Here, she fell in love with classical ballet, the exploration of movement, and the discipline and structure provided by the Cecchetti method. Prisca danced with the Ypsilanti Area Dancers for several years, as well as the River Raisin Ballet Company in Monroe, Michigan. In high school, Prisca also had the opportunity to dance in several Eastern Michigan University Dance Department performances, and guest starred as Pine Forest Fairy in Washtenaw Community College’s Neo Nutcracker. Prisca attended several summer intensive programs including the Cecchetti International Summer Intensive, Ballet Magnificat, and the San Francisco Conservatory of Dance where she studied the William Forsythe method under Alessio Silvestrin. Prisca went on to study dance at Belhaven University in Jackson Mississippi, where she trained under Ravenna Tucker-Wagnon (The Royal Ballet), Sol Maisonet-Nazario (The Ballet National of Colombia ), Caleb Mitchell (Houston Ballet), and many others. Here, she studied Vaganova teaching methods, as well as dance pedagogy and how it pertains to early childhood development. After graduating in 2017, Prisca returned home to teach at Randazzo Dance while studying the Cecchetti method and obtaining her teacher certification. Since the beginning of 2018, Prisca has lived in Fort Walton Beach, Florida, teaching for the Northwest Florida Ballet Academy, and Alfonso Academy in Destin. Miss Chelsea Fox is back and we are pumped for her to return to the Alfonso Academy family! She was born and raised in Murfreesboro, TN. 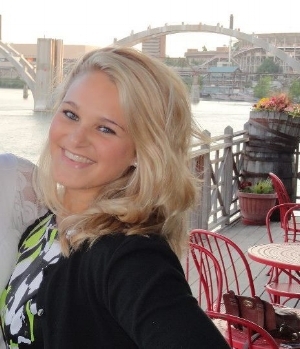 Chelsea graduated from the University of Tennessee with a Bachelor's in Communications. She grew up as a competitive gymnast where and won State two years in a row. During college, Chelsea cheered for Middle Tennessee State University on their co-ed squad and also competed at NCA College Nationals. In addition, she cheered on staff for the Universal Cheerleading Association for 1 year. Upon graduation, Chelsea moved to the Destin area and is currently the Volunteer/Events Coordinator for The Children's Advocacy Center. In her free time she loves doing Crossfit and paddle boarding.